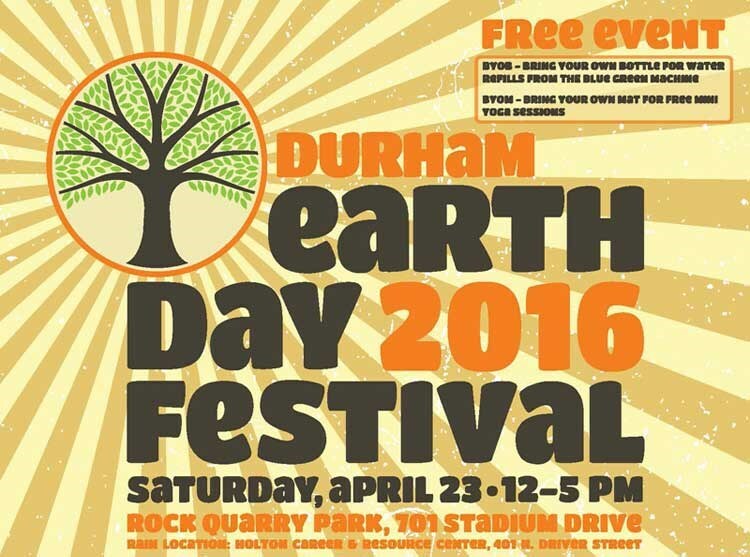 DeHaven's Transfer & Storage is proud to be a sponsor of the 2016 Earth Day Festival - being conducted by Durham Parks & Recreation on Saturday, April 23rd at Rock Quarry Park (701 Stadium Drive from 12 PM to 5 PM). Come out to this free event and enjoy good music, food and hands-on environmental education activities. There will also be a recycling drive for unwanted electronics, as well as shredding services for unwanted documents. Habitat Humanity Restore will also be onsite accepting donations of gently used household items to be sold in their local stores - where proceeds go to help area families in need. For additional details visit the Durham Earth Day Festival site.